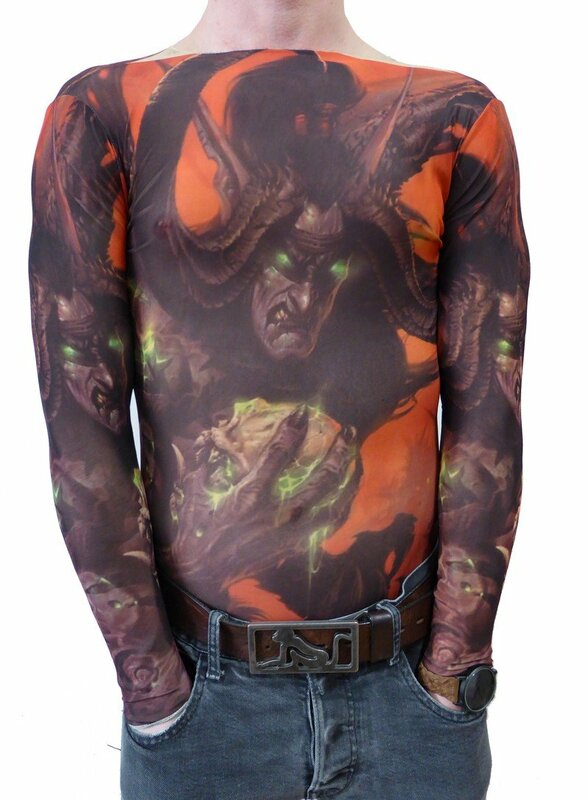 Tattoo T-shirt made of nylon with pattern of Devil for sale at a great price you can buy online in our e-shop. A great gadget for you. Tattoo T-shirt is made ​​of hi-tech materials nylon and spandex, which imitates the color of human skin. Just wear T-shirt and it looks exactly like having a real tattoo. With these tweaks you will surely get the attention of your friends at parties, in clubs, disco etc. A current observer does not even recognize that it is only a false and fake tattoo. 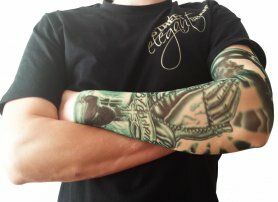 The advantages are that tattoo T-shirt is cheap, easy to handle, and every day you can change other tattoo designs and tattoo motives by your mood or your outfit. 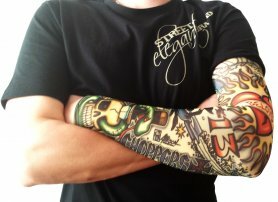 Tattoo T-shirts have enjoyed increasing popularity since they have incurred and they have extended their fans around the world. Tattoos on the body without pain? 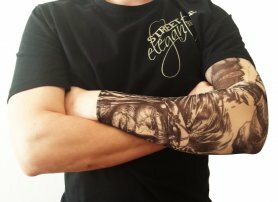 So here are stylish Tattoo T-shirts for you! 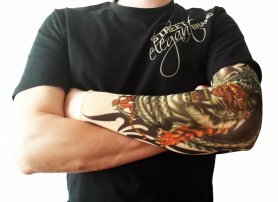 You can choose from our different patterns and try what it is like to wear a tattoo, even if just fake. If you want to give the original gift to your loved ones, certainly tattoo shirt is the right choice.